1/4 Acre building lot on Mackie Street in the heart of Fort Langley. Original owner selling this beautiful corner lot. Excellent building conditions, all sandy soil, no old house to remove and in-ground basement allowed and No GST! Don't be late on this one. 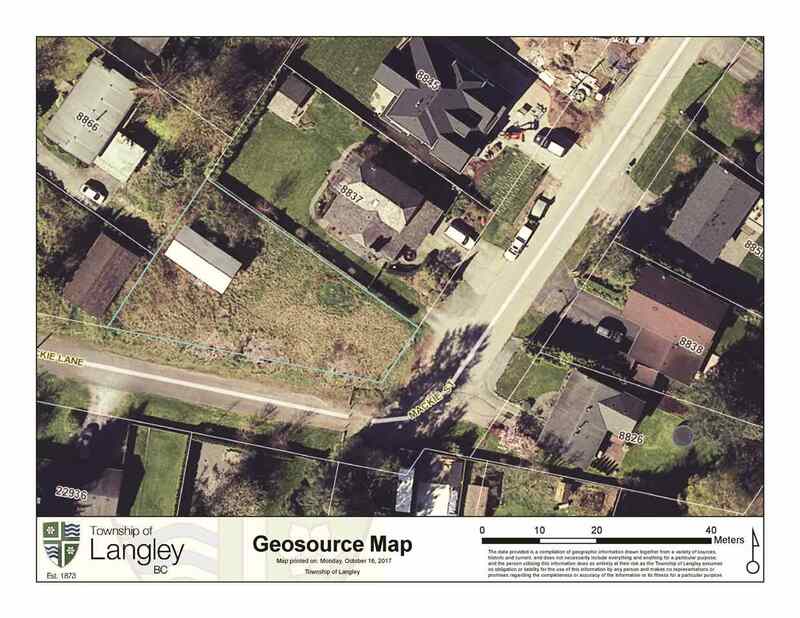 Buyer to confirm all building restrictions and requirements at the Township of Langley. Property being sold "as is".